Martin Sheen has a bit part in Selma. He’s not credited and he’s only in one scene, but it’s definitely him. He plays Judge Frank Minis Johnson, who holds the hearing that finally allows the Selma to Montgomery march to go forward. And, naturally, everyone in the theatre I was in instantly recognized him. He is also—like his actor—a devout Catholic. Sr. Rose Pacatte, F.S.P., has written for Novalis before, in the ‘movies’ chapter of Faith and Literature Matters. 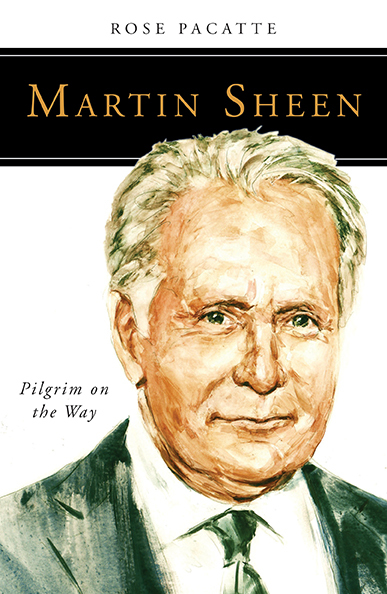 She brings the same passion to Martin Sheen: Pilgrim on the Way—her love for movies and for Hollywood shines through. And her respect and admiration for Sheen is outstanding: in the introduction she says that it’s “very difficult to find something negative to say about Martin Sheen as a person” and calls him an intrepid storyteller, before sheepishly admitting, “well, he says ‘blowhard’”. It’s a beautiful sentence because it is so true. We never know in advance what our next step will be. We just take a step, even if it is a clumsy, stumbling one. Sometimes we have to admit, ‘That wasn’t a very good move, I’ll try this instead.’ Or ‘Oops, I didn’t realize how expensive that was going to be.’ Or ‘Oh, dear, I didn’t realize that you loved me.’ But through it all we keep walking. We keep living. I didn’t become an actor because I was organized to be one. I became an actor because of my clumsy attempt to become myself. We, all of us, just keep engaging in these clumsy attempts to realize ourselves. It’s such a perfect expression of what it is to be human. It’s an engaging and genuinely inspiring book, both for fans of Sheen and regular Catholic readers. His warmth and charisma come through in Sr. Rose’s writing, and keep you hoping for more—of the book, and of a life well lived for Martin Sheen.